Amazing view. Brilliant bnw click. Wow, what an expressive photo . I love this! 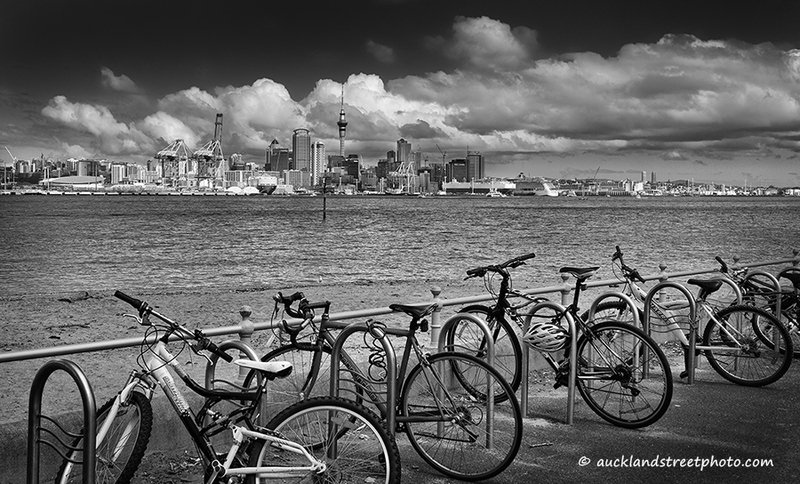 I love the contrast of the bicycles to the water to the cityscape! Really nicely composed and nicely done in B&W. Beautifully composed, and a wonderful sky/cityscape!